I made this piece as a gift for a special someone who plays the harp, and for her harp loving friends. 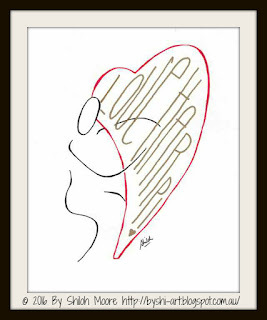 It is a line drawing of a person playing a harp simplified into a love heart shape, with the words 'Love Harp!' forming the strings. I did another version especially for her with the harp strings forming her name. Love harp, love you!